Is Brand Strategy Just BS? In my work at Branding Breakthroughs, one thing has become abundantly clear … people think they understand Brand Strategy, but they really don’t. 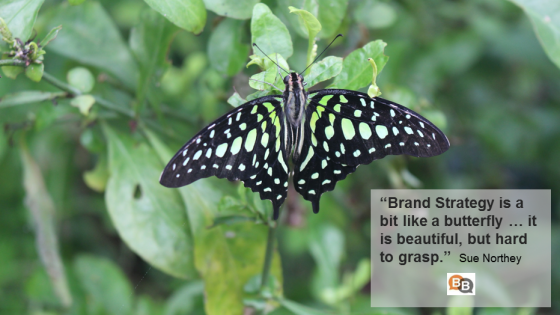 So, just what is Brand Strategy and why does it matter? Perhaps it is best to begin by explaining what Brand Strategy is not. It is not your logo. It is not your website. It is not your product. It is not your brand name. It is not that fancy newsletter you publish. Think of it as the frame of your house. The 2x4s that make up the walls, the roof, the ceilings, the floors. These important pieces form the foundation of your house. If you use inferior materials or hastily construct it, your house may not withstand normal wear-and-tear; worse yet, it definitely will not hold strong when the high winds of that unexpected storm hit. Which Questions Do I Need Answer? Here are some of the questions you should answer in order to create a compelling Brand Strategy. So, now perhaps you understand that BS stands for Brand Strategy and that it is a really important building block for your brand.